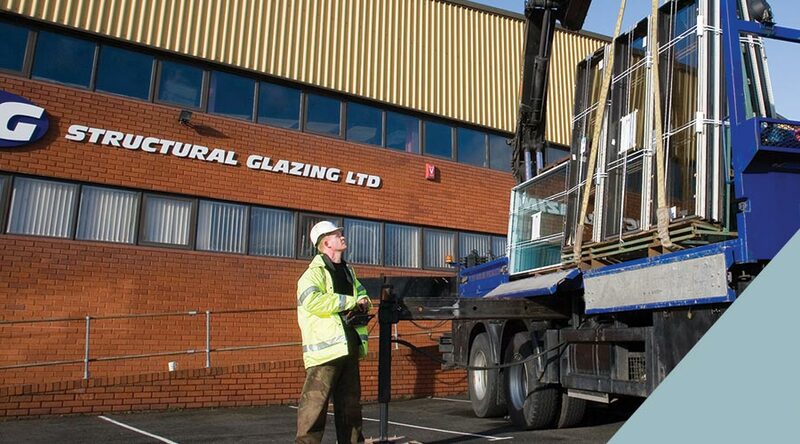 Structural Glazing Ltd was founded in Telford, Shropshire in 1986 by John Richardson. Originally set up to complete one large order, the company offered the first factory based structural silicone bonding facility in the UK. As this new form of glazing started to gain popularity the company grew in experience and expertise. Since inception SG Ltd has sought to remain at the cutting edge of glazing and silicone technologies, investing over the years in screen printing, silicone spraying and continually developing a range of silicone glazed carrier frames and vents. The company has also always invested substantially in the training and development of staff. The company continued to expand until, in 2002, new larger premises were required. Remaining in Telford, on Stafford Park, the SG Ltd were able to bring all of its operations under one roof with 27,000 square feet of factory floor, extensive storage area and ample crane facilities. Since then a fully equipped aluminium fabrication facility and a unitised assembly production line have been added. Mark Banks was appointed Managing Director in 2007, which allowed John Richardson to invest more time in the product development and diversification that still continues to allow the company to grow and adapt with the ever changing market. Now 25 years old Structural Glazing Ltd is able to tackle any challenge that the commercial glazing market demands. Our 27,000 square foot production facility is fully equipped with two overhead and one mobile crane, all fitted with vacuum lifting equipment and capable of lifting up to 1000kg of glass. We have a production line for assembly works on unitised contracts, a fabrication shop, loading bay and ample outside storage areas. Our experienced work force have all been extensively trained and have progressed through our unique in-house modular skills system.